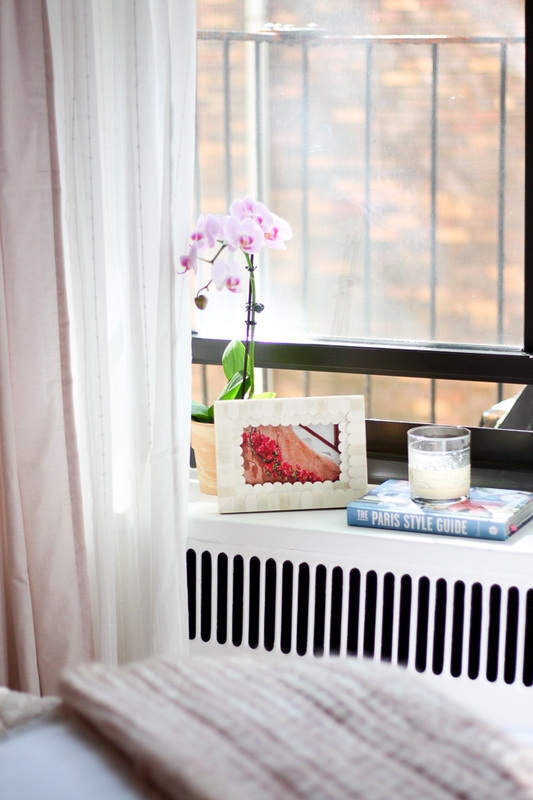 Faith and Fancy : Apartment Inspiration! Happy Friday! Today's post is one I've been looking forward to sharing as it gives a glimpse into the inspiration behind the design of my bedroom here in New York. For basically the entire summer, aka the three months leading up to my move, I spent so much time brainstorming, getting design inspiration, and shopping for what was my soon to be new apartment. My apartment isn't completely mine as I share it with two girlfriends, so I knew that we would all be contributing to designing and styling the common spaces, but my bedroom on the other hand was all mine to style. I was so excited! I'm not even exaggerating when I say I lost sleep over this bedroom space because I was just so excited to bring it to life and I wanted it to be perfect. To be honest, I wouldn't necessarily call myself a perfectionist, but when it comes to things I am passionate about, such as fashion, design, and Faith & Fancy, all bets are off - I often have a very specific vision in my head of how I see something and I want things to be just right! I must say, although my bedroom isn't a hundred percent complete (I'm getting there.. almost done!) it really has transformed from an empty, simple room to almost exactly what I had envisioned it being. I couldn't be happier and I cannot wait to share it with you all!! All the major design elements and furniture is set, it's just a few more details like wall hangings and design accents that I'm working on. As soon as it is complete, it will be up on Faith & Fancy - stay tuned! In the mean time enjoy perusing through the above design inspiration. I think it gives a good sneak peak into the space!